Someone is trying to resurrect ancient viruses hidden deep within the human genetic code to create a biological weapon so specific that it can target an individual . . . or an entire race. 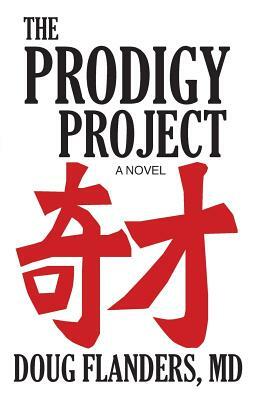 When two young prodigies discover their "medical research" is being used to build this weapon, they seek outside help to destroy it and to flee China. Help comes in the unlikely guise of Jon Gunderson-doctor, bio-weapons expert, and devoted family man whose unsuspecting wife and nine children have unwittingly accompanied him on yet another assignment. Once the truth comes to light, the Gundersons will have to set aside their differences if they hope to rescue the prodigies and escape with their lives. The fate of the world hangs in the balance as the bittersweet dynamics of a large but loving family take center stage against the backdrop of China's breathtaking landscapes. With twelve children and three grandsons, author Doug Flanders is well acquainted with non-stop adventure. He draws on 15 years experience as an Army Reservist and 18 years as a practicing physician to craft his medical thrillers. The Flanders family makes their home in Tyler, Texas.